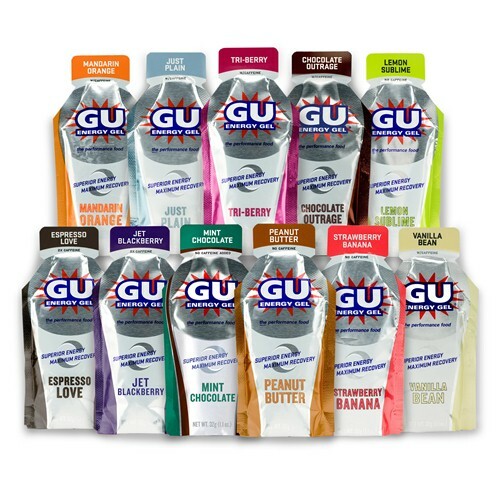 GUs were the first nutrition that I had ever tried when I began distance running. This type of nutrition is energy in the form of gel, ranging from 80-200 calories per pack based on the brand and ingredients. Technically the first stuff I had ever tried was made by Clif. And possibly had the word “raspberry” in the title. It was pretty awful according to my taste buds, throat and stomach. My personal preference are made by GU brand. Some of these have additional sodium or caffeine, which is something that should be closely looked at when purchasing since everyone’s body reacts differently to these additives. 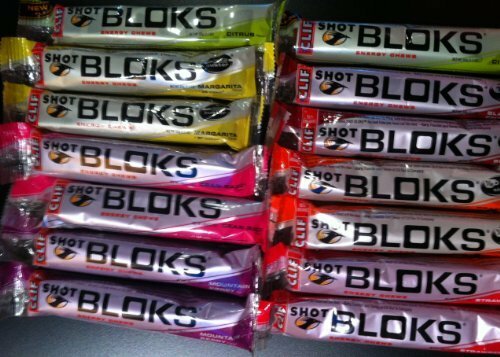 Just like gels, there are a variety of blocks and chews that contain electrolytes, sodium, potassium and sugars to keep the body moving. Clif, GU, Honey Stinger are just a few of the companies that produce these. A pack of five to six usually packs the same punch as two pouchs of gel, only they are more solid to trick your tummy into thinking it is actually getting something to nosh on. Personally, I enjoy the way they stick to my back teeth and I can find them later in a race if I look hard. That might be a deterrent for some. How much do I love Honey Stinger Waffles? Let me count the ways…the mostly importantly being that IT IS A WAFFLE THAT YOU EAT WHILE RUNNING! Some people put some peanut butter or Nutella on them to add some nourishment. Waffles pack about 160 calories into them, and just like the chews, your stomach is happy that it is ‘real’ food. I find that these are incredible when doing long training runs in the winter. I would eat a waffle maybe once every 10 miles when training for the 100-mile run. They were more hearty, and satisfied my hunger. These may be a little heavy for warmer or quicker runs, which something that isn’t so heavy in the stomach may be the better choice for. 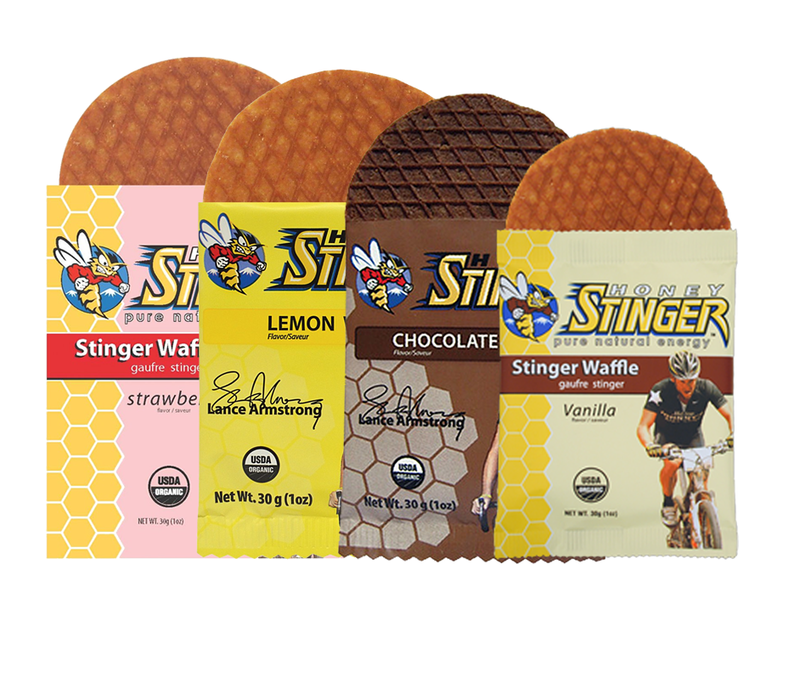 Visit http://www.honeystinger.com/organic-stinger-waffles.html for more information on Honey Stinger Waffles and other products by the company. 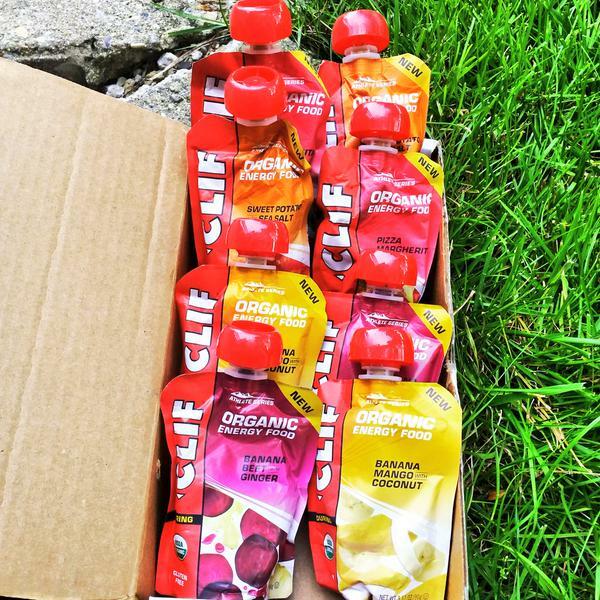 Clif recently released a line of organic ‘real’ food in pouches that is basically glorified baby food. That’s not a bad thing, at all. It just reminds us that we could be eating baby food on a long run. I tried the salted sweet potato flavor. Just one sip. One sip was all that it took to burn my throat and churn my stomach. I really don’t suggest it. I am very much not looking forward to trying the pizza flavored packet specifically because I have HORRIBLE acid re-flux when eating acidic or spicy foods and then running. Why in the world would I want to torture myself? Anyway, the fruit flavored packets are very good. I had used one on a morning of coaching when I hadn’t had breakfast and ran around for two hours. It was sufficient, did not bother my stomach, and tasted pretty good! So when it comes to these, fruit flavors = yes, veggie flavors = no. Another ideal form of real food are the applesauce packets that look pretty much like these. I have used them in racing before, and they have treated my body and tummy well. In fact, I wish I would have had them much earlier than mile 80. It may have saved me from the hell of 55-79. 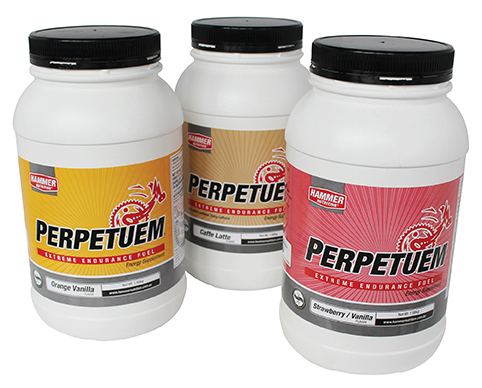 There are a plethora of drink mixes from Gatorade to Cytomax, Heed to Nuun, and then the ones that pack a thicker punch like Tailwind and Perpetuem. Realistically, half and full marathon training demands the nutritional content of something like Gatorade or Heed, while the ultra runner would benefit mostly from Tailwind or Perpetuem. My absolute favorite method to get nutrition is found with liquids, as I notice that my stomach feels happiest with this type of fuel. I typically start off a race icing down a 20-ounce bottle of almond milk, about a half of a cup of coffee, and two scoops of Perpetuem Cafe Latte. This typically lasts two to three hours during my activity, giving me up to 350 calories per bottle. 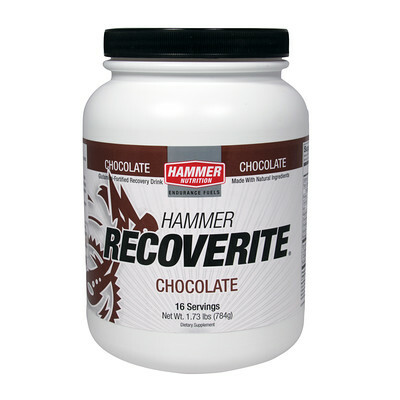 Visit http://www.hammernutrition.com/products/perpetuem-reg-.pp.html for nutritional information. Why salt? 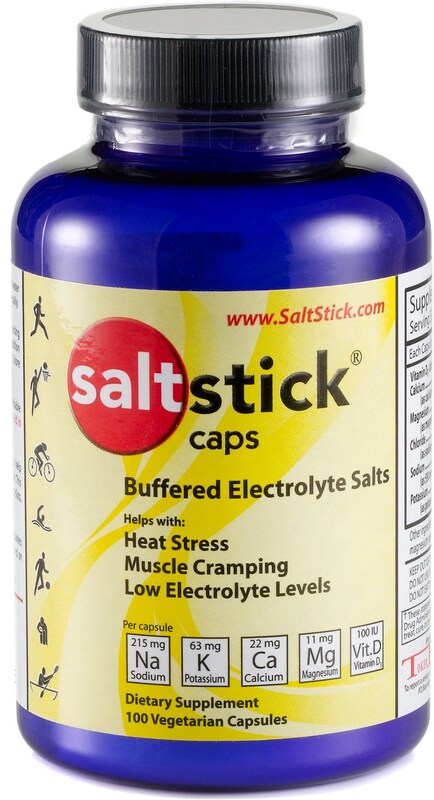 According to RunnersWorld.com, “if it’s hot or if you’re training hard, you can sweat out a lot of salt–as much as 3,000 mg in an hour.” During incredibly hot runs (which is pretty typical in the dead of a Chicago summer), up to two of these per hour drastically help energy levels and prevent cramping. Of course, it is ideal to increase salt consumption in the days leading up to a run or race, but that can also cause a little bloat. By popping up to two of these per hour DURING the activity, the body is able to replenish on the spot without struggling to pull it out of reserves. It also helps prevent bloating when the body tries to retain as much water as possible in hot weather. A good indicator that these are necessary are swollen or bruising fingers and increased urination. When using this, I notice that the following day, it usually feels like I did negligible activity. I often forget that a long run just happened 24 hours earlier. The legs love it.